Responsible tourism is a concept which measures the effects of tourism on the well being of the host community, their culture as well as on local environment. Responsible Tourism Wayanad is an innovative program by the Kerala Tourism department focus mainly on three thematic areas of responsible tourism viz. Economic, Social and Environmental. 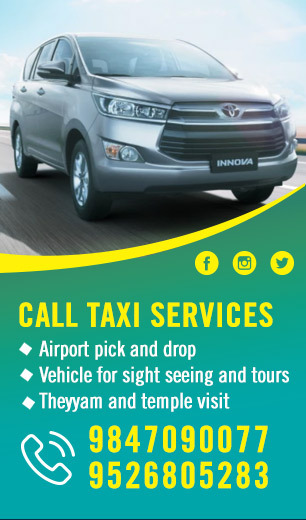 RT cell aims at promoting low cost tourism, which promotes the cultural and social aspects of the real life in Kerala by guiding tourists through the villages and historical places in the state. We currently offers package tours, which are widely enjoyed by the foreign visitors and international students who are keen on learning more about the culture and history of Kerala. The second package focuses on the village life demonstrated by a tribal person including visiting agricultural land where several types of paddy are cultivated. You can also see baskets made using bamboos. This package includes a visit to the historical Valliyoorkavu temple, which is visited primarily by the tribes of Wayand. There is a big festival once in a year, which is a holy festival for the tribal community.